Please tell us the phone number where you can be reached while you're riding in case we need to contact you during the ride. Thank you for your RSVP to this Burning Snowflake ride! You will receive an email the evening before the ride with last-minute information. We look forward to seeing you this weekend! Description: The Burning Snowflake series of road rides get you riding nice roads with others at a time of year when you might not otherwise be on the bike. The routes include all paved roads and as many back-roads and quiet areas as possible. Routes will vary and there will be different paces offered. One of the special features of the Burning Snowflake Series is food! We serve fresh food prior to the ride and again after the ride returns. Please let us know in an RSVP if you have dietary restrictions prior to 5pm on Friday. Saturday, March 24. Route is 46 miles south. This is a great route with many good stretches of road without too many turns. There are potholes and some rough pavement, but also some silky smooth new pavement to enjoy. This is an improved version of the route as it now avoids Franklin Center. Not happening March 24 is the Burning Snowflake mixed terrain ride due to snowy and unrideable trails. Saturday, March 24 - Rollout is at 11am. 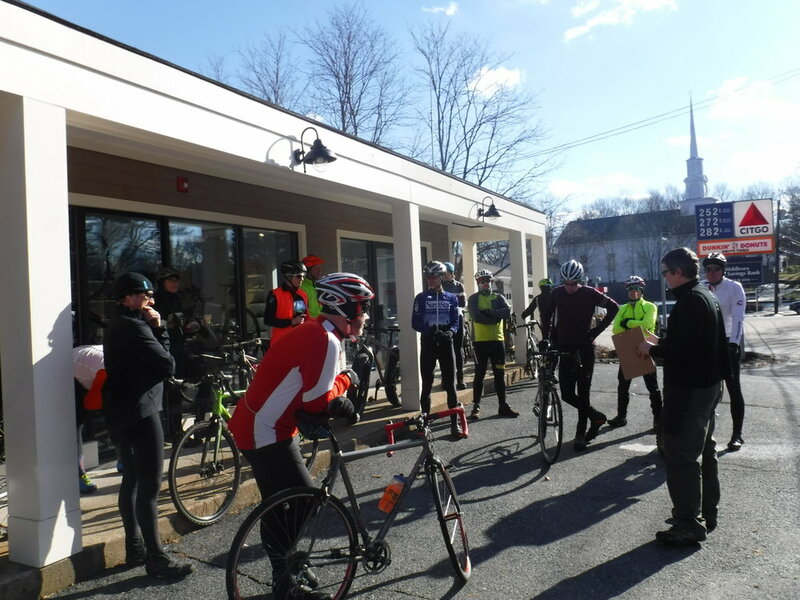 Show up between 10am and 10:45am for pre-ride food! Ride Notes: We have a designated Ride Headquarters ride leaders leading the ride, pointing out turns, keeping the pace to what's advertised. There is a food stop at a grocery store at mile 30 for water refills and snacks, bathroom stop if needed by anyone. Estimated time: 2.5-3 hours, note there is one stop to refill water bottles and grab food if necessary at mile 30.